Published on Tuesday, August 5, 2014. 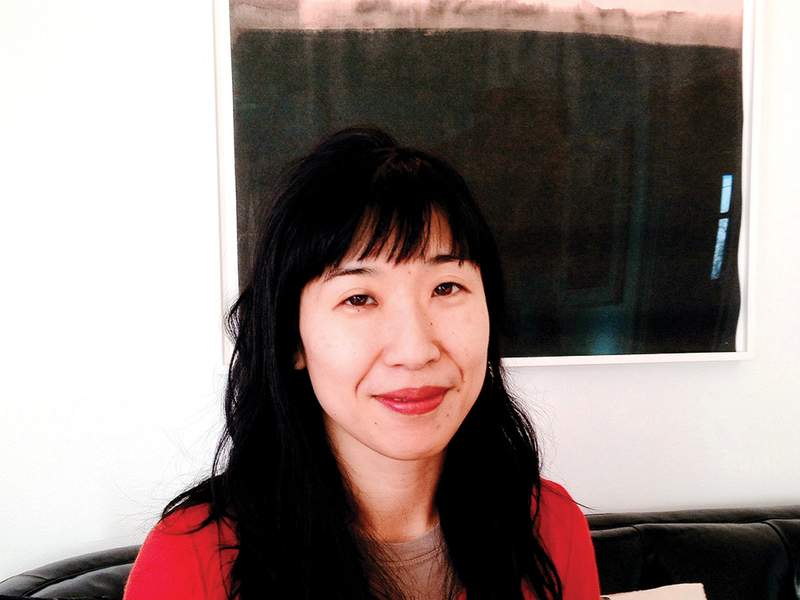 As we get ready for the opening of the American Craft Council San Francisco show this weekend at Fort Mason, meet Rena Tom, our juror for this year's Awards of Excellence. Rena is the founder of Makeshift Society, a coworking space and organization for creative freelancers, independent business owners, and small teams, with locations in San Francisco and Brooklyn. She is also the market editor at Anthology magazine and a consultant to independent makers, brands, stores, and organizations. I'm a consultant to makers and brands, leading them through the intricacies of retail. I'm also the founder of Makeshift Society, which is an organization for freelancers and creative professionals, with workspaces in San Francisco and Brooklyn. Finally, I'm market editor for Anthology magazine, a narrative-driven shelter/lifestyle magazine. What are you looking forward to seeing at this weekend’s ACC show? Everything! I'm especially partial to ceramics and wood at the moment, but I like all forms of craft. I like seeing pieces that are far down the rabbit hole and sprung directly from the mind of the creator as well as quiet, minimalist work that requires acute contemplation. What is exciting to you in the world of craft and design currently? I'm encouraged by so many people coming to craft and design from other disciplines for all different reasons. I feel like it's bringing fresh eyes and new flavors to the field. Experience can manifest in so many ways; technical mastery is certainly an important one, but so is a depth of thought about what craft can, can't, should, or shouldn't do. All of that excites me. What craft do you love to live with every day? I have a growing collection of vessels - mostly bowls and cups. I like being surprised by utilitarian objects, and I like to touch things, so a lot of the things I cherish get better with use or age. I also have hand-bound journals that I like to use that are mini feats of engineering, if you think about it, and represent a magical transformation of 2D (paper) to 3D (book) to 4D (recording of time, as I write in it). What do you want to share about the arts community of San Francisco? I think our community is vibrant and surprising and involves far more people than anybody suspects. It's definitely a community of amateurs (in the best sense) and people who are willing to try and to support others who try. The scene can feel rough and not refined at times, but it's also very inclusive, which is wonderful. The Awards of Excellence will take place at 3 p.m. on Friday, August 8. Be sure to visit the winners' booths afterward.